When we let our primary students solve problems affecting our entire planet using imagination and creativity, the unexpected happens. Children who are allowed to dream and to visualize solutions with abandon see no limits, only possibilities. As far as they're concerned, anything can happen to make our world better, because there's no one in the room telling them it can't be done. That's the whole idea behind Primary School Maker's Day at GEMS Dubai American Academy, which happened in April of 2018. In this event, primary students discover what problems the world is facing as a global community and work together to build imaginative solutions to them. It's all about possibilities without borders and exploration without barriers. Our students are constantly learning about real-world problems, and then collaborating to brainstorm solutions to these problems. GEMS PS Principal Nathalie Salameh explains that on Maker's Day primary students solve problems using the Fluencies, which are a regular facet of the DAA curriculum. "At DAA, we strive to create future-fluent problem solvers by integrating the six Essential Fluencies into our everyday curriculum," she says. "Our students are constantly learning about real-world problems, and then collaborating to brainstorm solutions to these problems." "The Primary School celebrated Earth Day and Maker’s Day in the last week of April. After students learned about some of Earth’s environmental challenges, they worked in collaborative groups to find innovative solutions to these real-world problems. This year, PS Maker’s Day was spent with students from Kindergarten to Grade 2 building their Future Fluency skills." The video below provides a closer look at how DAA's primary students solve problems on a global scale and foster Fluency skills simultaneously. At GEMS DAA, having primary students solve problems for the world is more than a chance for them to change the future. In addition, it lets them build skills for living well and succeeding in the future. "Our primary School Maker's Day is just one example of how we embed the Future Fluencies into our everyday curriculum at DAA," explains Nathalie. "We believe that such learning experiences are vital to the growth and success of our future leaders." If you want to discover more about how students at GEMS DAA are using the Fluencies to learn and grow, check out our success stories with them and other schools around the world. Seeing primary students solve problems with abandon with the help of the Essential Fluencies is a clear example of how easy it is to start taking steps toward a better world. You can let your own young learners explore the same possibilities with the right tool to guide your practice. For a rich and innovative teaching experience unlike anything else, the choice for GEMS DAA and other global schools is Wabisabi. Wabisabi is a platform for developing rich and vibrant learning experiences for students of every grade level. It offers real-time reporting against standards, media-infused student portfolios as evidence of learning, global classroom connections, quality lesson plans and resources for educators, and more. 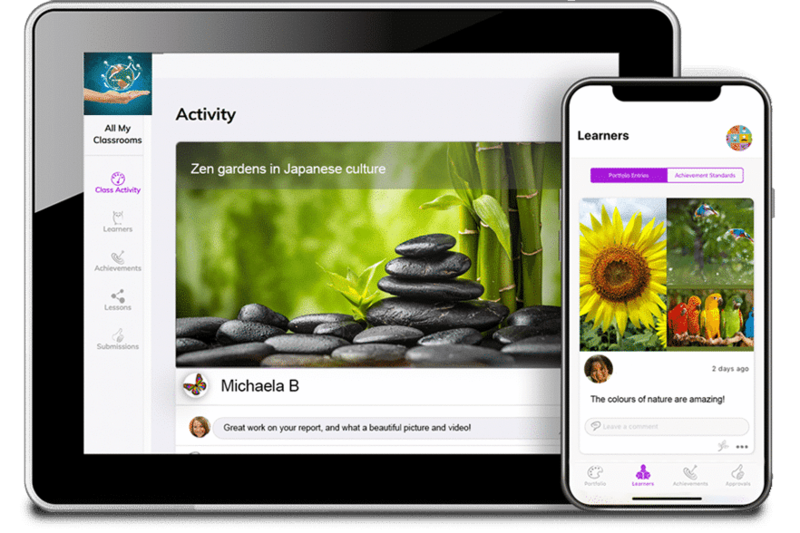 Check out Wabisabi and see what's possible for you and your learners—it's teaching simplified, and learning amplified.